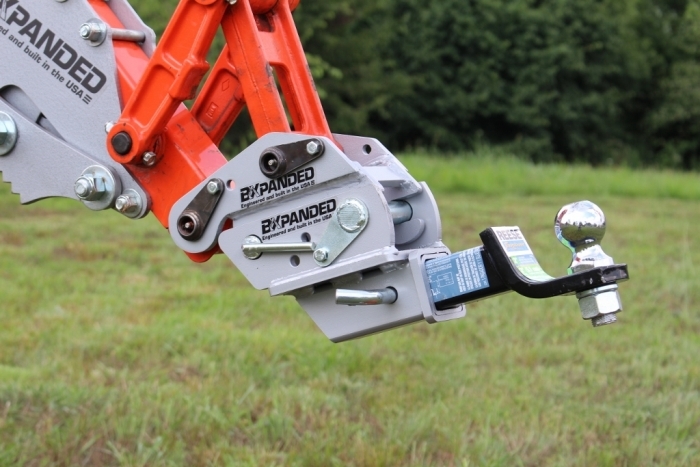 The BXpanded Back Hoe Mounted Receiver accommodates almost any accessory designed for use with a standard 2" trailer hitch receiver. It can also be a great starting point for making your own custom backhoe attachments by starting with a standard 2" drawbar. 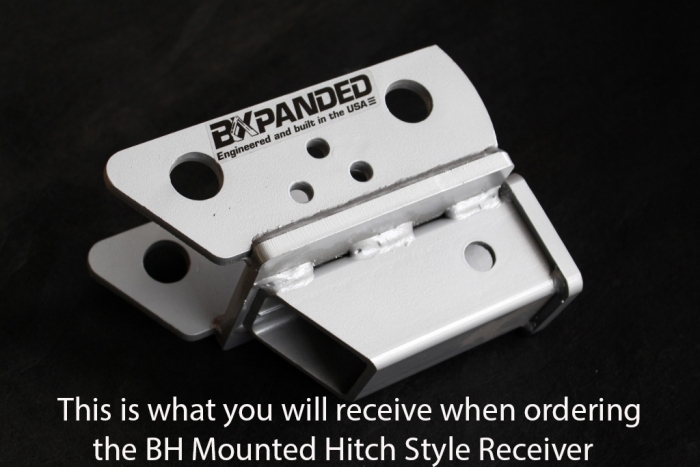 The receiver comes in great looking hammered silver finish that compliments any color. 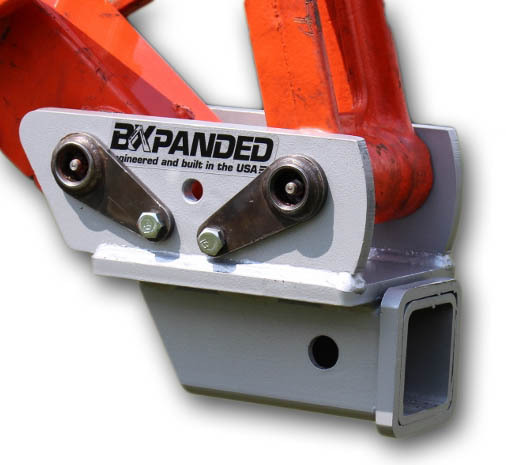 It’s fully welded construction requires no assembly, and takes less than 5 minutes to install using the standard bucket mounting pins. 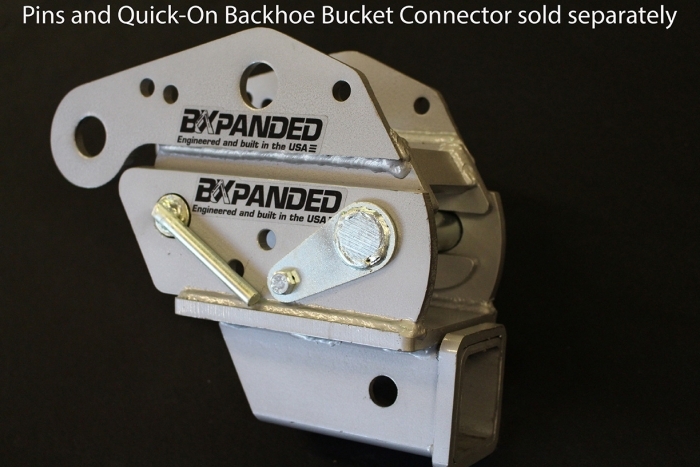 The receiver is fully compatible with the BXpanded Quick-On BH Bucket Connector (Sold seperately) that allows installation in approximately 15 seconds using no tools. It’s built with US made steel, with all the strength you’ll need to use every bit of the power of your machine. It’s TOUGH! Just like the job you have to do! NOTE: The ball mount and hitch ball are not included.